Power and strength are two things that are becoming more and more necessary in every sport today. Being “good” just isn’t good enough anymore. In today’s sports world, athletes realize that practice makes perfect, but power and strength training makes PERFORMANCE. This is where Weight Training becomes essential. 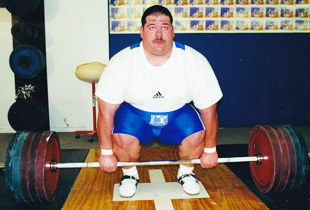 The STRONGEST, MOST POWERFUL athletes on the planet are Olympic-Style Weightlifters. 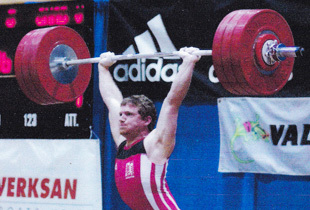 The learning and properly performing of the Olympic Style Weightlifting movements are extremely critical to the development and success of the CrossFit Athlete. The use of the two videos offered on the web site are great training aid for the development of power, strength, and movement required by CrossFit Athletes. Hitting for average will always be important for ballplayers. But a player with skills and power is something special. Today’s ballplayers know that perfect technique, either at the plate or in the field, can make or break you, but the strength that Olympic Style Weight Training provides can be the extra edge that takes you to the next level. On the mound, the myth that bulk ruins form has proven false, as today’s pitchers know that strength can build stamina and increase arm power. POWER. Enough said, but we’ll say more. On the gridiron, a player’s success can often be determined entirely on how much time was spent in the weightroom. Olympic Style Weight Training can do more than the common lifting regime. It can provide the abilty for linemen to break or hold blocks or a running back’s ability to withstand or deliver crushing blows. Ouch! From nowhere comes a flying body with a monster check that rockets you against the glass. While it may still hurt if you’ve added quality muscle through Olympic Style Weight Training, the results are a product of simple physics. Larger objects require more power to move. Not only can it help the more “physical” aspects of your game, but it can also help you maintain your stamina and strength well into the final period. In wrestling, it’s all about weight–what weight class you fit in can determine your success or failure. But many wrestlers pull weight in an attempt to drop to a more desirable class. This often leaves you weak and less than your best. With a strong Olympic Style Weight Training program, wrestlers can maintain solid muscle and strength while losing weight. Anyone who thinks soccer players don’t need power hasn’t played the game. The ability to rocket the ball from the corner can be crucial to a team’s success. Olympic Style Weight Training allows the soccer player to have the leg strength necessary to maintain the grueling field work as well as the strength to curve the ball when needed. This is a contact sport where power and quickness often is the “difference maker.” Olympic Style Weight Training can do more to meet the needs of the player than the common weight room activity. Explosive leg strength increases vertical jump height. The ability to “elevate” to the maximum is often the difference between success and failure. Olympic Style Weight Training rather than the conventional weight training activity provides the explosive leg strength that can add the vertical jump height required to spike the ball or block a shot. Power and Strength, on this everyone agrees. However, quickness and balance along with the power and strength that can be gained through Olympic Style Weight Training can provide the much needed edge required to ensure that you strike a knockout blow. Quickness and strength are a “must” for today’s player. Olympic Style Weight Training provides the quickness and leg strength that can be the difference between reaching the ball in time and losing the point. Increased flexibility and strength often lift the individual toward the perfect score. 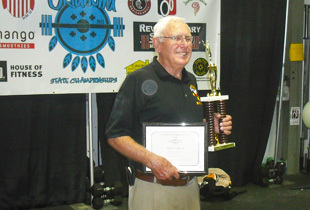 A well thought out and planned Olympic Style Weight Training program is the “way to go” to attain one’s goal. Strength and flexibility may make the difference when one is placed in a negative situation whether it be a fall or loss of an edge. An aggressive Olympic Style Weight Training program may be the difference between success and injury. In track, the start often makes the difference between the first place finish and the others. Olympic Style Weight Training programs can provide the added strength, flexibility and quickness to give one the winning edge. The touch/turn often is the difference. With a strong Olympic Style Weight Training program the added strength, flexibility and quickness can be the difference maker. Quickness, flexibility and strength are major factors in a successful exercise. Olympic Style Weight Training provides all three of these and can produce the strength needed to make the full rotation or stick a landing. One of the objects of judo is to throw your opponent to the ground. In order to accomplish this, you must use your strength against theirs. Timing is also crucial but the strength that Olympic Style Weight Training provides could give the ultimate advantage. Having the power to off balance your opponent at just the right second is essential to victory. Flexibility and endurance… these are two very important components in the art of Jiu-Jitsu/Grappling. Winning by submission, for example chokes, arm locks and leg locks, is the ultimate goal. Because ground fighters have a high risk of getting into uncompromising positions, having the strength that Olympic Style Weight Training provides may prove to be the needed edge to disengage from a negative situation.